I have genuinely missed my Monthly Favourites posts which have always been a lovely blend of everything lifestyle, travel and beauty related. So why not bring them back, right? The longest month of the year is finished (I’m telling you, January felt like it lasted for years!) but let’s take a final look at it and reflect back on all the great things we enjoyed and were blessed with. 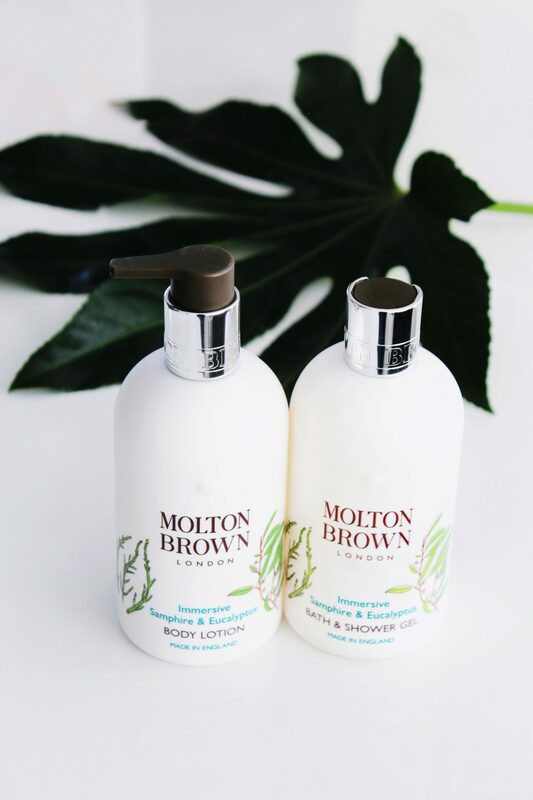 On top of that, I’m bringing in another fabulous giveaway from one of my favourite brand Molton Brown to say a BIG THANK YOU for your support across my social media. So thankful for almost 8K on my Twitter and 3.1K+ of you guys on my Instagram! By the way, the latter is so difficult to grow so if you aren’t my Insta buddy yet, let’s fix that. 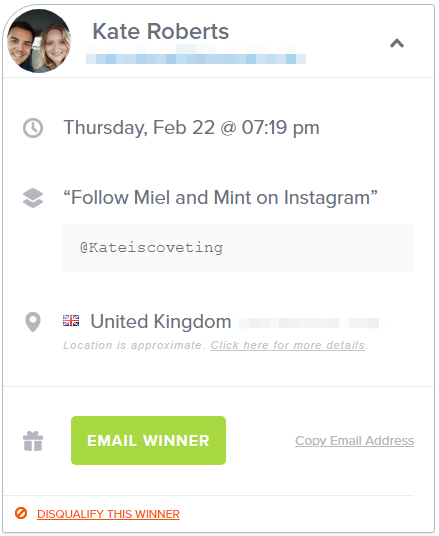 Shameless plug, I know, but I am over at mielandmint if you would like to pop over and say hi. When I share my favourite place of the month, it’s always a location I visited at some stage during those 28-31 days. I’m going to break the rules (well, who said there were any rules, right?) and share a place that could easily make my favourites EVERY month. I’m not even sorry I still talking about it 4 months on. I don’t think I’ll ever stop, to be honest. It was hands down one of our BEST holidays. In every way. I don’t know what could call your name louder: beautiful coastline, white sandy beaches, warm and very friendly locals, delicious food, clear turquoise water in the lagoon or the weather forecast that would make anyone stuck in the offices in the UK cry. Did I mention it’s absolutely stunning? Everywhere you look is a postcard image. So if you’re on the hunt for the dreamiest getaway, I couldn’t recommend Mauritius more (Travel Diaries post is coming up very soon!). One major tip I can give before you book is do some (thorough) research about the resort you’re interested in + travel options to and from Mauritius. It took us a number of weeks to make the call about the hotel. After reading what-felt-like 500+ reviews, the decision was made. We stayed in a beautiful Constance Belle Mare Plage, and I have no doubt we will be returning there again. After booking our Dubai holiday with Emirates Holidays in September 2016, it was a no-brainer we wanted to go with them again in the future. I can’t emphasise enough just HOW AMAZING it is to travel by Emirates Airlines. Guys, if you could put me on a 6-7-hour flight anywhere in the world with Emirates, never let me out of the plane and bring me back to the UK on the same day, I would call that a mini holiday. I mean, 12-14 hours of uninterrupted movie marathons, napping, reading, eating and relaxing. Yes, please! Add Mauritius to your travel bucket list – you won’t regret it. P.S. You might remember this little collage from this post. 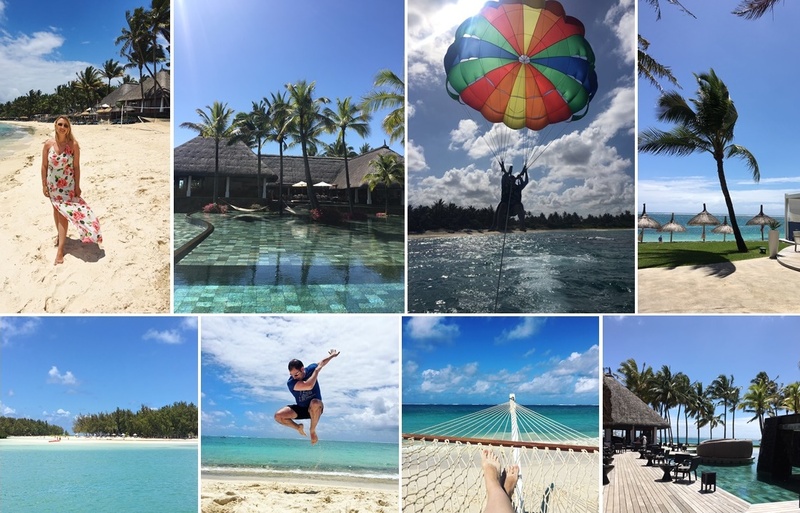 It was waaaay to difficult to choose one favourite photo of Mauritius so I thought 8 in 1 might be a better idea. You might be surprised to find this out but this favourites category is one of the trickiest for me to pick every time I decide to feature it. I’m a huge movie buff. Always been. Always will be. I know I’m VERY late to the party telling you that I thought Passengers (which was released in 2016 – where does the time go???) would be a great pick for a January 2018 Favourites blog post. But here we are. I only watched it last month. Better late than never. 5,000+ people are on board of a starship Avalon, being transported to this new planet to start a colony there. This “little” voyage is planned to take 120 years which is why all the passengers and the crew members are sleeping soundly in their “hibernation pods” while the whole thing is being run by the computer. 30 years into the space travel, the starship encounters an asteroid field which causes damage, and one of the passengers, Jim Preston (Chris Pratt), wakes up 90 years earlier than he should have. Without giving too much away, I can definitely say that this unrealistic movie left me with all kinds of very real emotions after I finished watching it. Firstly, it was an amazing reminder than love, truly, is the greatest gift that we possess. Secondly, it hits home when you think of people who suffer from loneliness. We are social creatures through and through (yes, even those of us who would be happy to avoid people at all costs on a daily basis). Finally, this movie makes you think of all the ambitions you might have in this life, and, say, the opportunity to achieve them is taken away from you, what is left? Where do you “store” your “treasures”? What is the purpose of your life if you remove all that is materialistic, superficial and fast-passing? Yup, some might think Passengers is a great fiction movie (it is!) but it’s a lot bigger and deeper than that. Both Chris Pratt and Jennifer Lawrence were incredible in it. A 2-person movie might sound like a risky venture but it can be an absolute hit if the actors are that talented and the plot is that good. I got Gracelaced for Christmas from my hubby’s auntie and I haven’t parted with this book for a day since. It’s divided into 4 parts which all correspond to the seasons of the year and “seasons” in our lives. 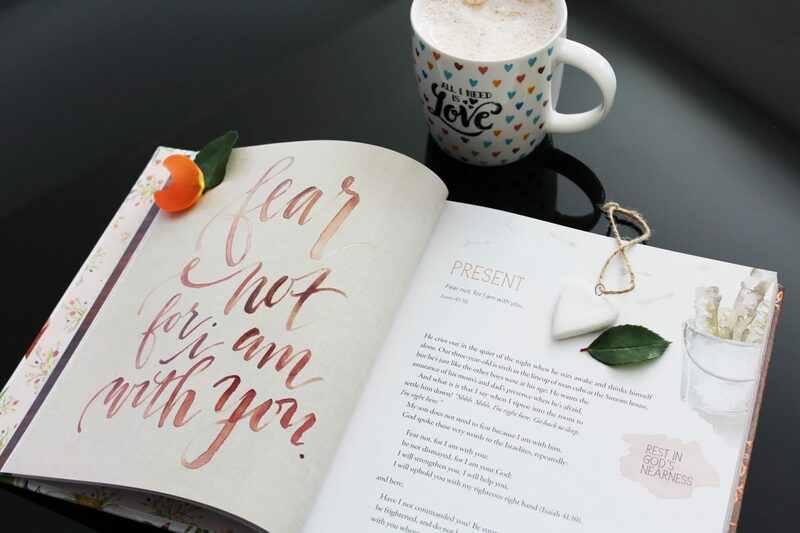 Then, there are chapters that include small 1-2 page readings of encouraging words from the artist/author Ruth Chou Simons and verses from the Bible to help get through those turbulent times. Not only it’s an encouraging and lovely read, it’s also beautifully illustrated by Ruth herself. The calligraphy and prints are little masterpieces on the pages of this precious book. I couldn’t recommend it more, whether you’re going through a tough time, would like to find out more about God’s love and plan for your life or simply love illustrations and calligraphy of Bible verses and quotes. 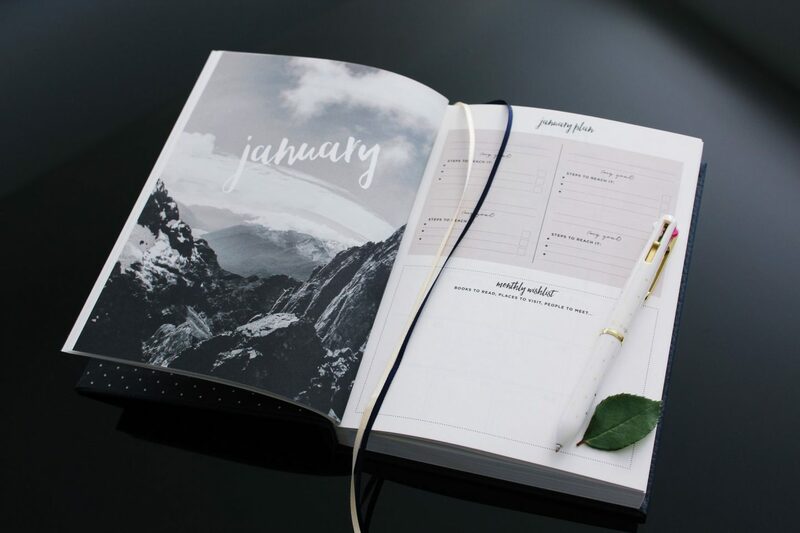 I might not be one of those people who start thinking in December (or even earlier) about everything they’d be doing in the new year, but I have been on the ball in 2018 with my number one favourite activity of all times – planning. Don’t get me wrong, I’ve ALWAYS been a huge planner girl. I can’t function or get anything done unless it’s written down. Efficient planning is a true skill, and it has helped me so much when I was at uni, and then with work and life in general. However, last year I kind of lost my mojo with jotting down my to-do’s and keeping a proper blogging schedule. So when 2018 rolled in, I decided it was time to take control of what I can and get planning. I’ve been loving my Dear Diary planner and couldn’t recommend it enough if you’re looking for a bit more than just some space for writing down your to-do’s. It’s beautiful, it’s inspiring, it’s packed with advice and little prompts to help you think outside the box and encourage you to be a better version of yourself. 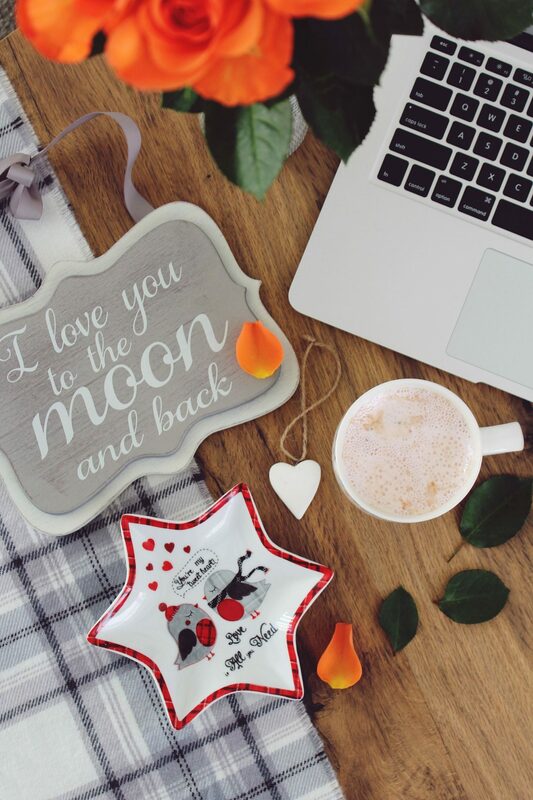 I am currently getting my content for spring organised and I couldn’t be happier with how it’s looking. So excited for you to see it all in due course. ELEMIS Pro-Collagen Super Serum Elixir: This is my second bottle, and one of the best things is that it will last you for a very long time! When I decided I should probably start using serums to see what the hype is all about, I wanted to invest into a good one (read: the one that would suit my skin and show the results). I never looked back with the ELEMIS Pro-Collagen one. It leaves my skin feeling velvety soft and smooth + gives that natural healthy glow we’re all after. Important tip: shake well before applying (that way it won’t come out greasy). The Ordinary Natural Moisturizing Factors + HA: Incredible moisturiser for a fraction of the price! Since trying out a few The Ordinary products, I am definitely never going to look at skincare the same way. This little guy contains everything your skin needs (and it’s suitable for all skin types): it’s hydrating, it’s moisturising, it calms red and irritated skin and gives it that fresh bouncy look. Basically, it ticks all the boxes. I will repurchase it as soon as I run out. Dr Botanicals Moroccan Rose Superfood Facial Oil: I got this smaller bottle of 15ml in one of my Look Fantastic advent calendar boxes. The moment I tried it for the first time I knew I would reach out for it again and again. This facial oil changed my idea of what a facial oil is or supposed to be. When you think “oil”, you automatically imagine that it’s oily. It’s not one bit. This Moroccan Rose oil glides on so smoothly, makes my skin feel more plump and awake; it’s also non-sticky and dries super fast. 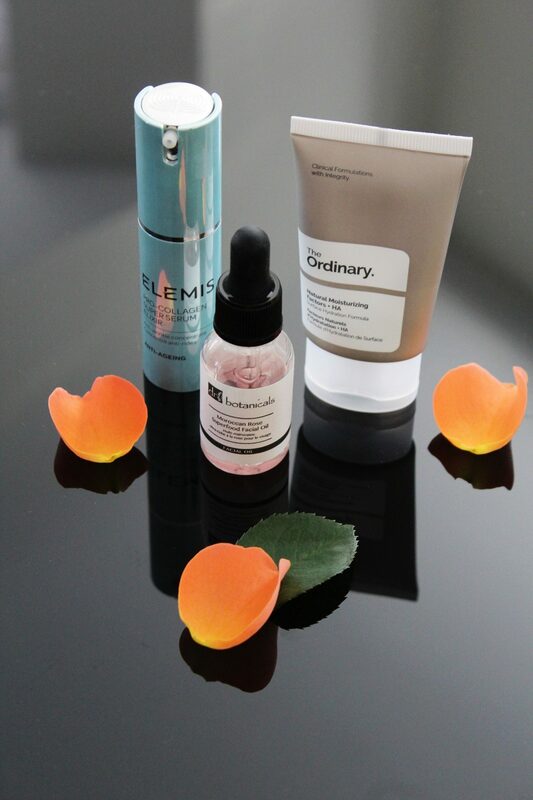 It’s one of these all-time favourites that you 100% know you’d repurchase. Tarte Shape Tape Concealer: Every person on this planet who wears or likes makeup knows about Shape Tape. 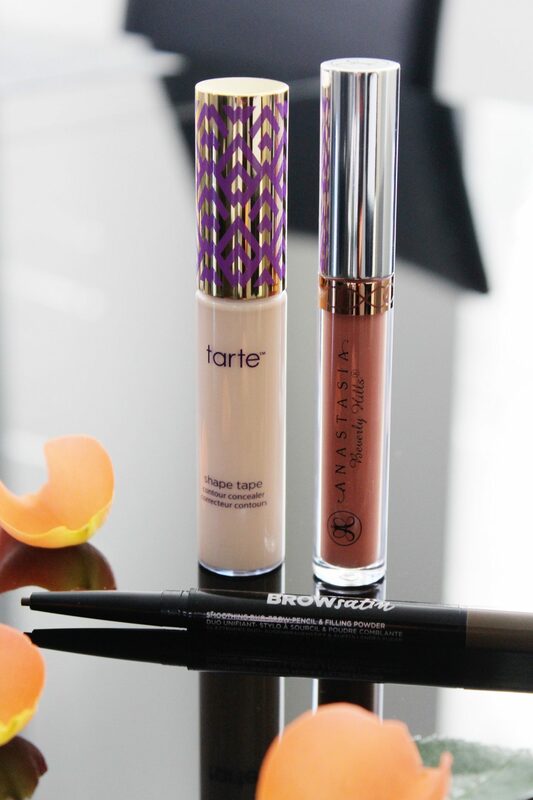 The blogosphere as well as the YouTube community is all about this Tarte’s bestseller. So when my lovely mother-in-law went to the States last year, I decided to give in to the hype and asked her to bring back some Tarte makeup, including this concealer. I’m on my 2nd bottle right now. Even though I love a few other concealers (e.g., NARS Creamy Concealer, I’m looking at you), I always seem to go back to my Shape Tape when I want full coverage and no creasing. I’m wearing it in the shade Light Sand. Anastasia Beverly Hills Long-wearing Matte Liquid Lipstick: This baby came from a lovely PR team at Feel Unique along with a few other ABH goodies, and I was SWOONED. I have always kind of shied away from the brown shades but I was so impressed by this gorgeous shade Ashton (which is a midtone yellow brown). It goes on super smoothly and you don’t need much product at all. This liquid lipstick goes matte almost instantly. I like to pre-line my lips just a tiny bit to make sure I get that perfect finish. Also, this lipstick is labelled “long-wearing” for a reason!!! It stays on after eating, drinking and looks amazing throughout the day. I think I only needed to fix it once (and that’s after 2 meals and a whole lot of water and coffee). Maybelline Brow Satin Eyebrow Pencil: If you’re looking for a dupe of the ABH eyebrow pencil, look no further. I’ve had a difficult time trying to hunt down a pencil or a pomade that would A) be the perfect shade to match my brows’ natural colour, B) have a super fine tip and C) not break the bank. I don’t remember how or when I decided to buy this eyebrow pencil but this is my 3rd one and I will come back for more. I’m wearing it in Medium Brown. What I love about it the most is that this pencil will fill in all the gaps but it won’t make your brows look caked on or fake. I’ve never been much into the hypes and I do my brows the way I like them, and this product has been nothing but very helpful and simply amazing. If you told me a year or two ago that I would be obsessed with mommy profiles on Instagram, I would probably “yeah right” you. I am not yet a mom (but I’m hoping to be one day). I also have many friends who are mothers or waiting to “pop” soon. Even though baby updates, feeding schedules and sleepless nights aren’t all part of my current routine, I love seeing moms out there from all over the world being REAL about how tough but beautiful motherhood really is. That’s why, when I first came across Lynzy through her lynzyandco Instagram page, it was like a breath of fresh air. Not only she is an absolute powerhouse of a mom of 3, a wife, a blogger, an ER Physician Assistant and many others things, she’s as real as is gets. Her “raw” Instagram stories always draw me in and I learn so much from this inspiring woman. On top of that, I LOVE her style and her try-on’s are so fun to watch. While keeping her feed insanely gorgeous and perfectly coordinated, her captions as well as her relatable Insta stories is what keeps me around. So yes, I am hooked on real moms IG feeds! 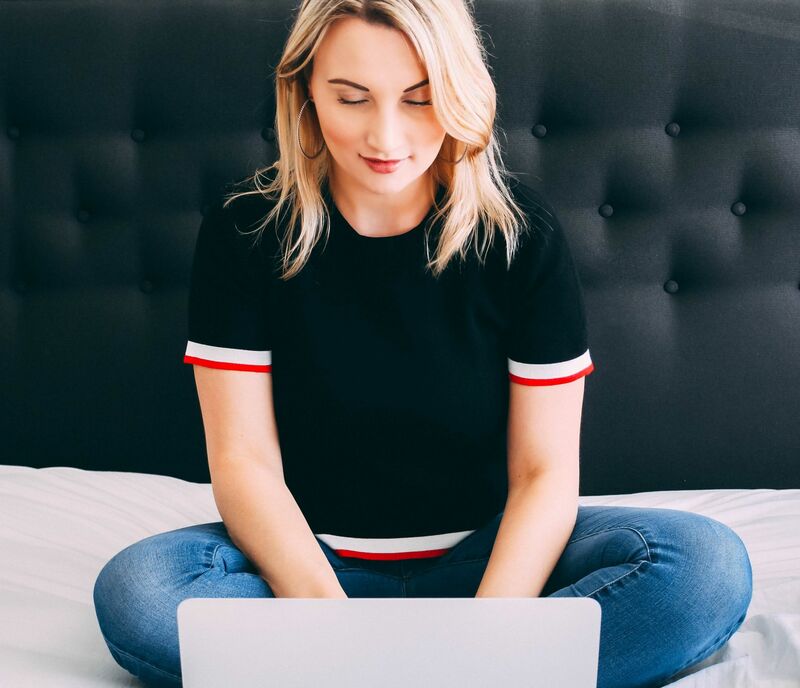 If you’d like more mom profiles recs, let me know. Now it’s time to say THANK YOU once again for your support, especially on my social media, and celebrate reaching 3K on Instagram (woohoo!!!). Leave me a comment and let me know what you enjoyed the most in January.